Want to see the future of design? Look no further than New York Design Week, where designers are breaking new ground by experimenting with innovative materials, concepts and technologies. From dazzling crystalline furnishings and literal lawn chairs to biometric seats straight out of science fiction, read on for 15 of our favorite finds from NYCxDesign. 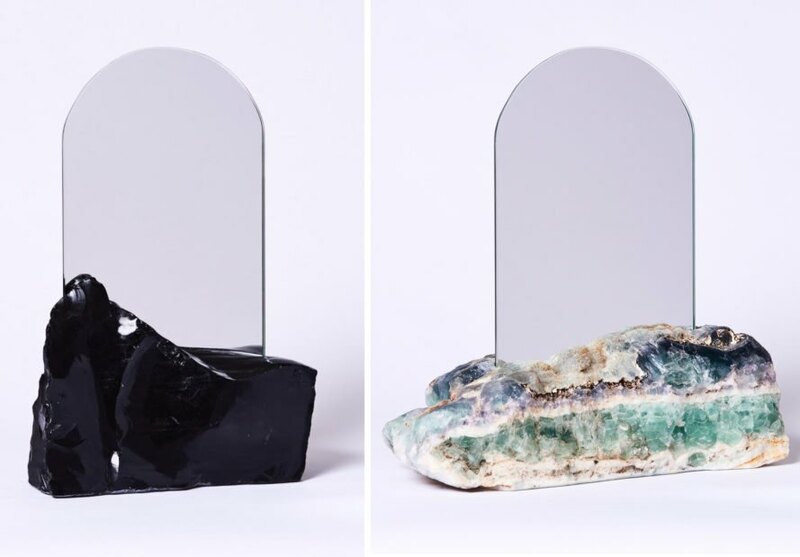 We’ve got a crystal crush on these monolithic mirrors made from raw-hewn semi-precious gems. Leah Ring of Another Human told us that the stones are believed to have metaphysical properties – basalt confers power, blue calcite is calming, obsidian absorbs negative energy, and fluorite bestows positive energy. 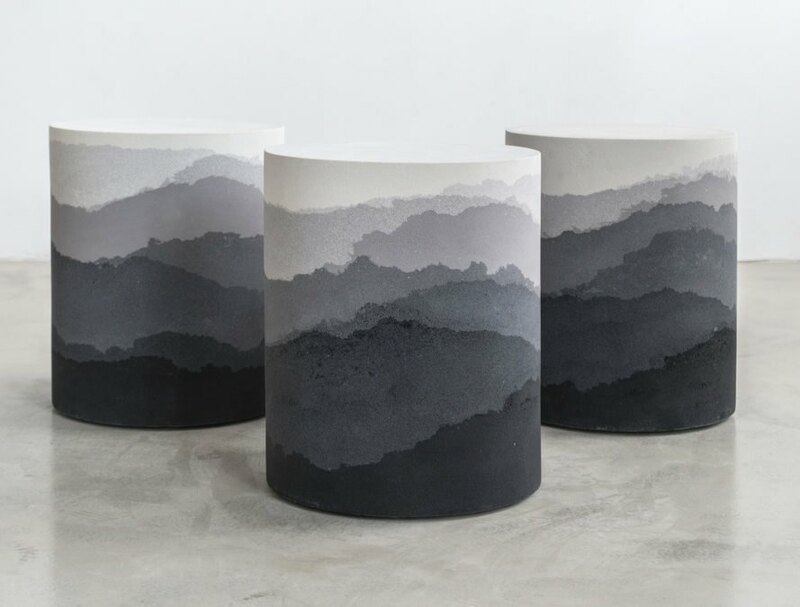 Fernando Mastrangelo uses simple sand to create textural, multi-layered stools that evoke landscapes, clouds, light and shadows. A giant cardboard castle rose in the middle of Times Square over the course of New York Design Week. 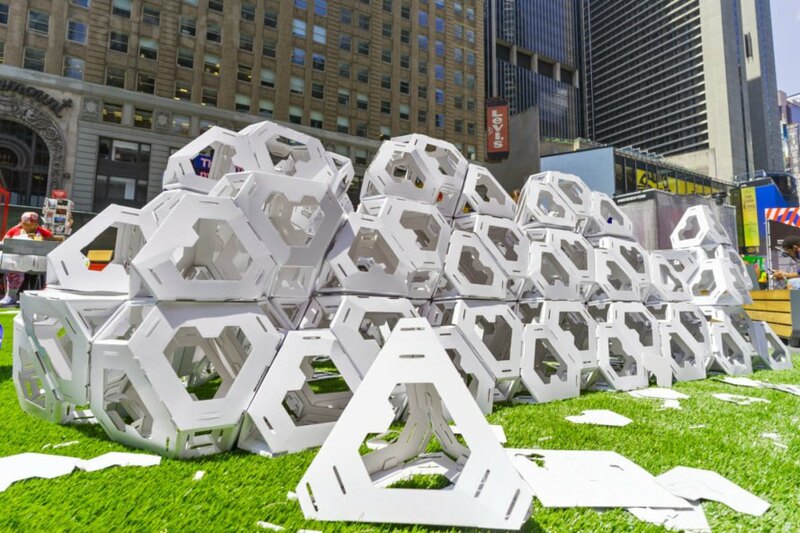 Noa Haim’s CollectivePaperAesthetics project welcomed passersby to design their own paper structures at the NYCxDesign Pavilion. Floor Nijdeken is concerned that everyone spends too much time looking at their phones – so he created a “collective embroidery” table to bring people together again. Nijdeken’s Crossover Collective project invites anyone to take a seat and contribute to an embroidered carpet made by many different hands. These sculptural vases by Jeroen Wand synthesize three different approaches to design. 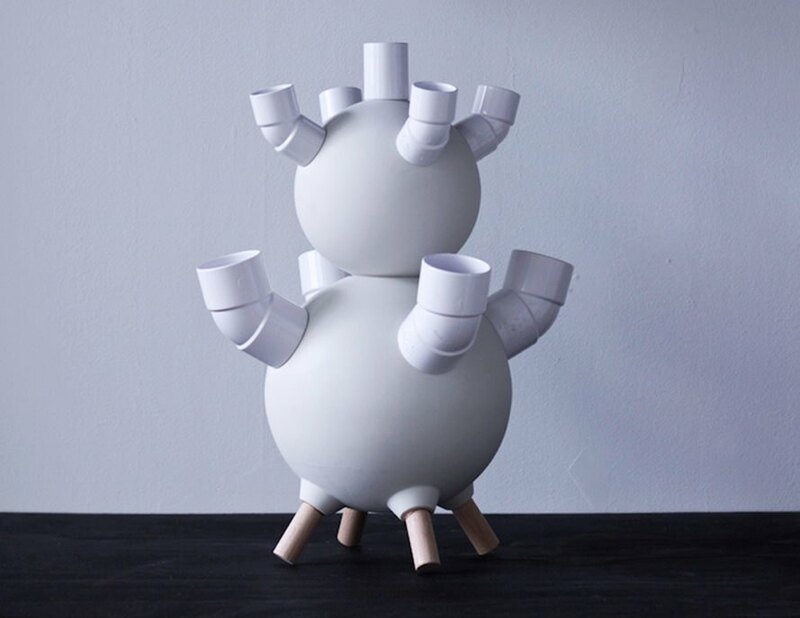 The pipes are readymade objects bought straight off the shelf; the dowels were store bought and then altered; and the smooth ceramic spheres were completely cast by hand. 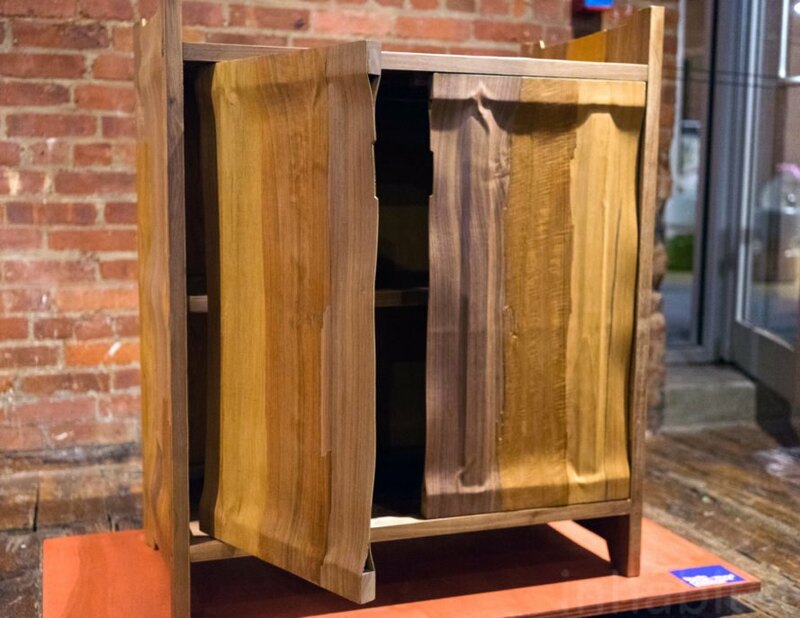 Jeroen Wand has also developed a process for salvaging off-cut wood veneers to create beautiful, multi-layered furniture. Wand says “Normally, veneer is used to cover a less attractive material underneath. Here, veneer is used throughout the whole object.” The resulting pieces are exceptionally lightweight yet extremely durable. Can you recognize this iconic design? It’s Michael Graves’ Alessi Kettle – completely encrusted in blue crystal! Dutch designer Isaac Monte has found a way to transform everyday objects into spectacular crystalline sculptures. 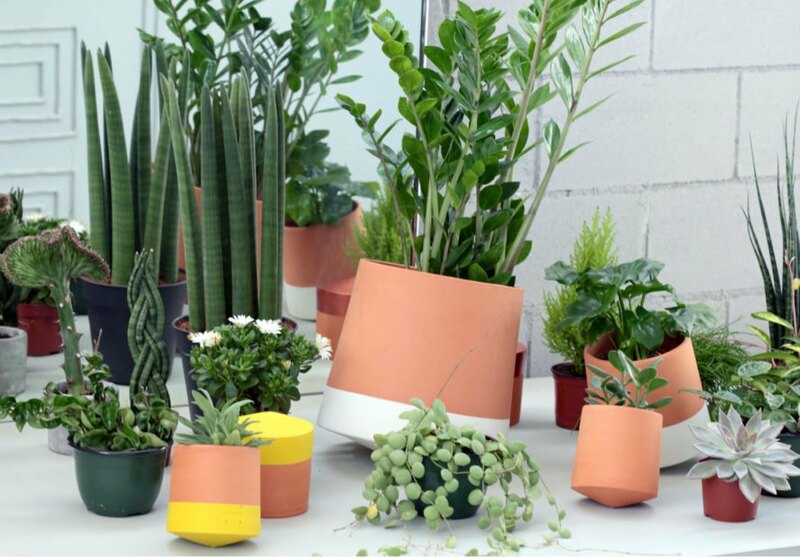 Most planters are heavy, immovable objects – which makes these tipsy, twirling pots all the more fun. Living Things‘s Voltasol pots are perfectly balanced so that they spin round and round without falling down. 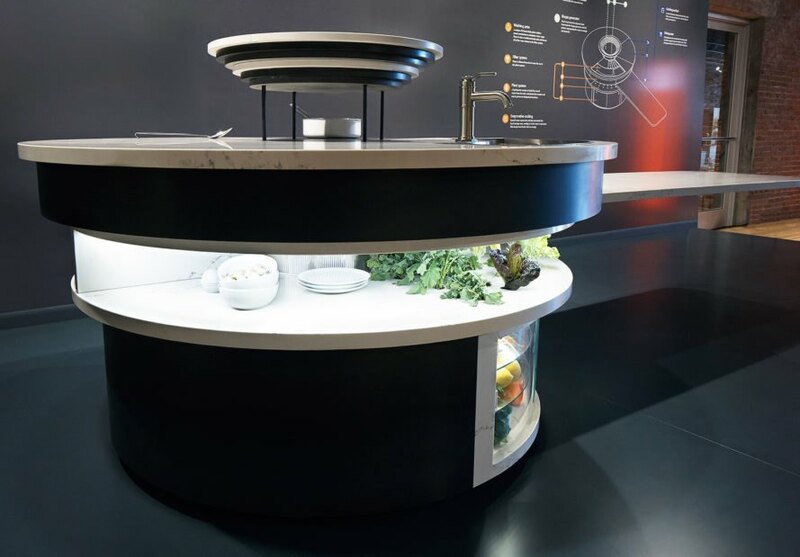 Caesarstone teamed up with the Pratt Institute to give us a look at the self-sustaining kitchen of the future – complete with a water-recycling hydroponic garden and a biogas generator fed by cooking scraps. Tanya Cai’s Settle Table may look simple at first glance – but it has several tricks up its sleeve. A colorful inset lifts up to reveal a hidden storage compartment, and a woodgrain coaster doubles as a wireless charging pad for your phone. 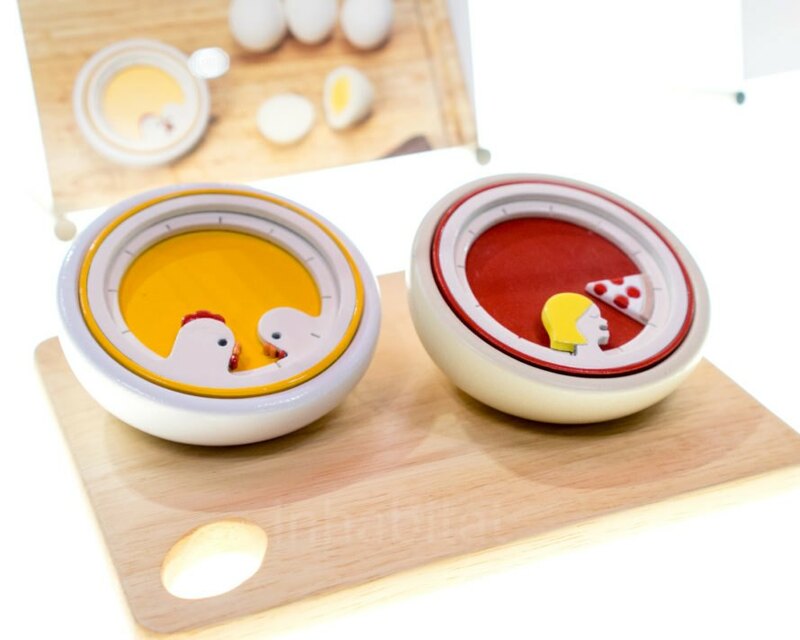 OK, these are the cutest kitchen timers we’ve ever seen – one reunites two chicks with every tick of the clock, and the other delivers a pizza slice to a waiting mouth as it counts down. Both were developed by SAIC student Yejin Kim for the Kikkerland and Paper Source Design Challenge. 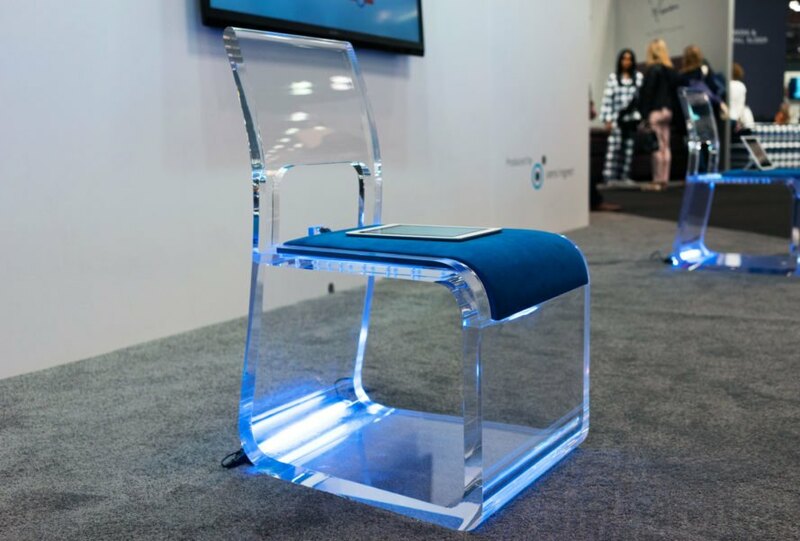 Meet the chair of the future. Sensingnet‘s high-tech Argus seat can measure your respiratory rate, heart rate, and stress level the instant you sit down. 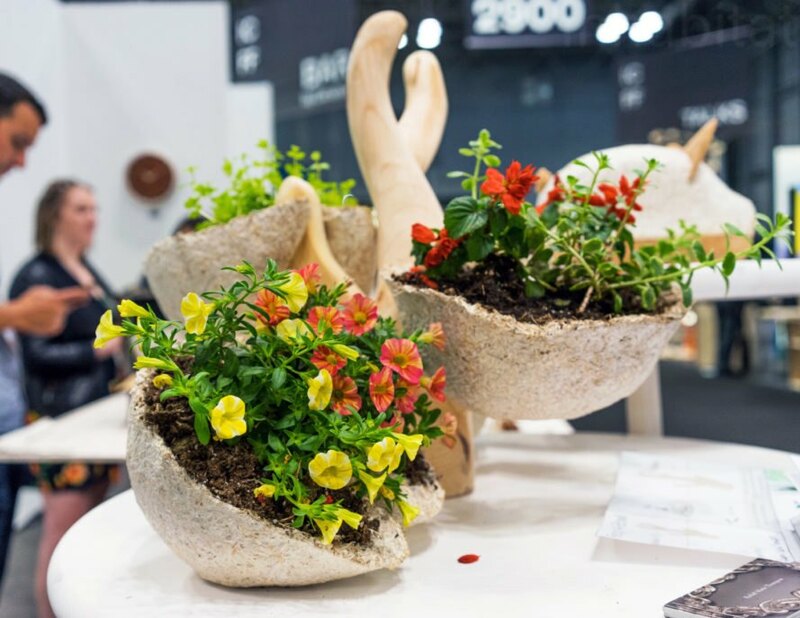 You’d never guess it, but this twisting planter is actually made from mushrooms! Kean University industrial design students teamed up with Ecovative to develop a wide range of products made from mycelium – including a bike helmet, a tote bag, and even a guitar. 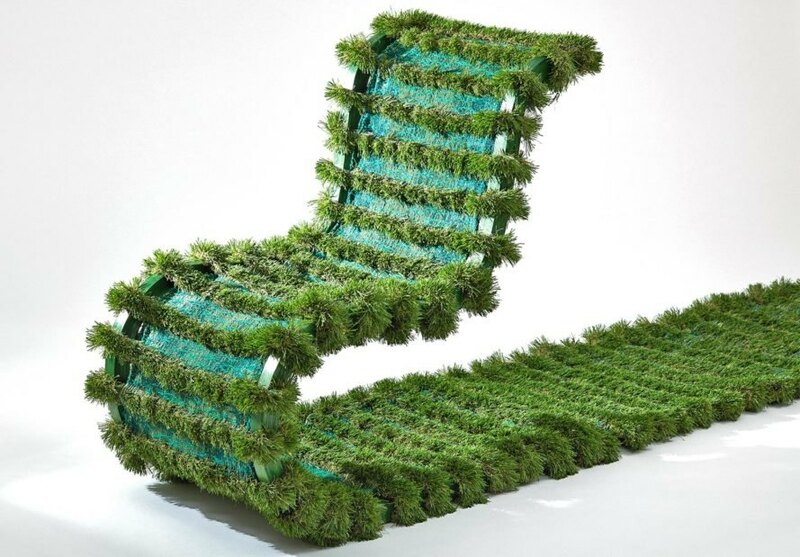 This literal Lawn Chair put every other chaise at ICFF to shame. Sarah Crist and Lauren Klein developed the cheeky chair for a RISD project that paired industrial designers with textile designers. If you’ve ever wondered what to do with all the pesky packing peanuts in your life, Samuel Bechar has the answer. He upcycled hundreds of the lightweight box fillers into a clever chair that looks like a giant cloud. Wow! Spectacular ideas that draw one's eye. Each and every design is absolutely stunning and has ability to create aesthetics. I was actually searching for something unique and eye-catching like this. This is the real future of the design. I could not find amazing designs like these anywhere else. Kudos! Great Job done. Can you recognize this iconic design? It's Michael Graves' Alessi Kettle - completely encrusted in blue crystal! Dutch designer Isaac Monte has found a way to transform everyday objects into spectacular crystalline sculptures. We've got a crystal crush on these monolithic mirrors made from raw-hewn semi-precious gems. Lea Ring of Another Human told us that the stones are believed to have metaphysical properties - basalt confers power, blue calcite is calming, obsidian absorbs negative energy, and fluorite bestows positive energy. 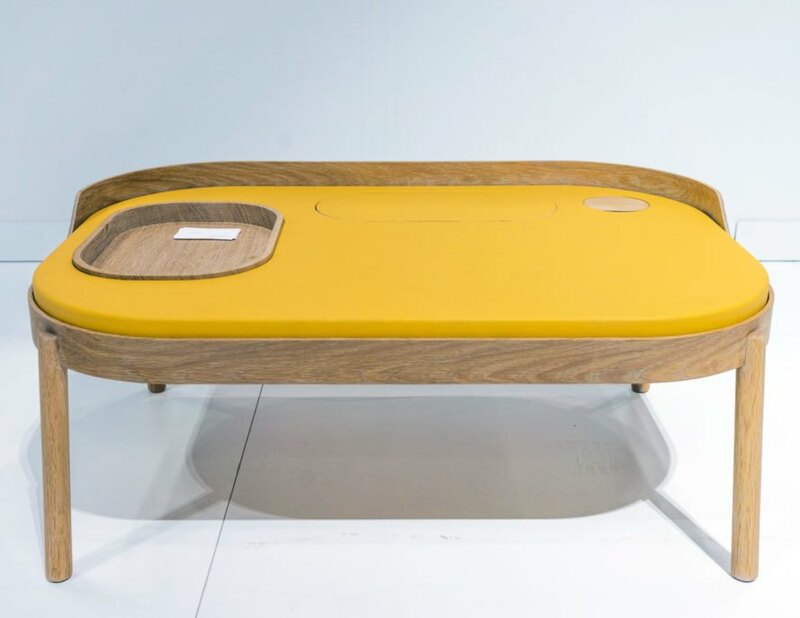 Floor Nijdeken is concerned that everyone spends too much time looking at their phones - so he created a "collective embroidery" table to bring people together again. Nijdeken's Crossover Collective project invites anyone to take a seat and contribute to an embroidered carpet made by many different hands. Jeroen Wand has also developed a process for salvaging off-cut wood veneers to create beautiful, multi-layered furniture. Wand says "Normally, veneer is used to cover a less attractive material underneath. Here, veneer is used throughout the whole object." The resulting pieces are exceptionally lightweight yet extremely durable. Most planters are heavy, immovable objects - which makes these tipsy, twirling pots all the more fun. Living Things's Voltasol pots are perfectly balanced so that they spin round and round without falling down. Caesarstone teamed up with the Pratt Institute to give us a look at the self-sustaining kitchen of the future - complete with a water-recycling hydroponic garden and a biogas generator fed by cooking scraps. Tanya Cai's Settle Table may look simple at first glance - but it has several tricks up its sleeve. A colorful inset lifts up to reveal a hidden storage compartment, and a woodgrain coaster doubles as a wireless charging pad for your phone. OK, these are the cutest kitchen timers we've ever seen - one reunites two chicks with every tick of the clock, and the other delivers a pizza slice to a waiting mouth as it counts down. Both were developed by SAIC student Yejin Kim for the Kikkerland and Paper Source Design Challenge. Meet the chair of the future. Sensingnet's high-tech Argus seat can measure your respiratory rate, heart rate, and stress level the instant you sit down. You'd never guess it, but this twisting planter is actually made from mushrooms! Kean University industrial design students teamed up with Ecovative to develop a wide range of products made from mycelium - including a bike helmet, a tote bag, and even a guitar. If you've ever wondered what to do with all the pesky packing peanuts in your life, Samuel Bechar has the answer. 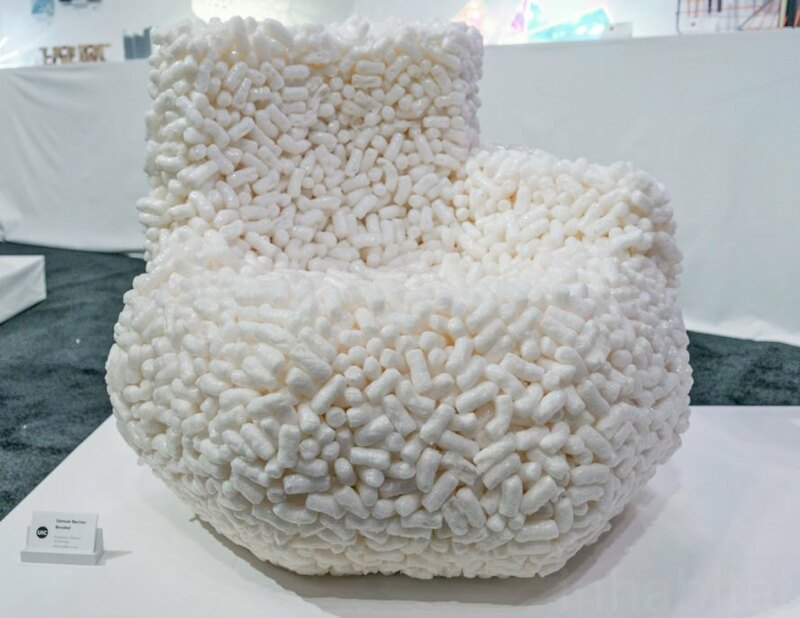 He upcycled hundreds of the lightweight box fillers into a clever chair that looks like a giant cloud.